Chiapas, a state in southern Mexico, burst into international news in January 1994. Several thousand insurgents, given a voice in the communiques of Subcomandante Marcos, took control of the capital and other key towns and held the Mexican army and government at bay for weeks. Proclaiming themselves the Zapatista Army of National Liberation, they captured both land and headlines. Worldwide, people wanted to know the answer to one question: why had revolutionaries taken over a Mexican state? No other study of Chiapas answers that question as thoroughly as does this book. The uprising and government's armed occupation of the state are but the latest violent episodes in a region that is now and has always been a rich land worked by poor people. 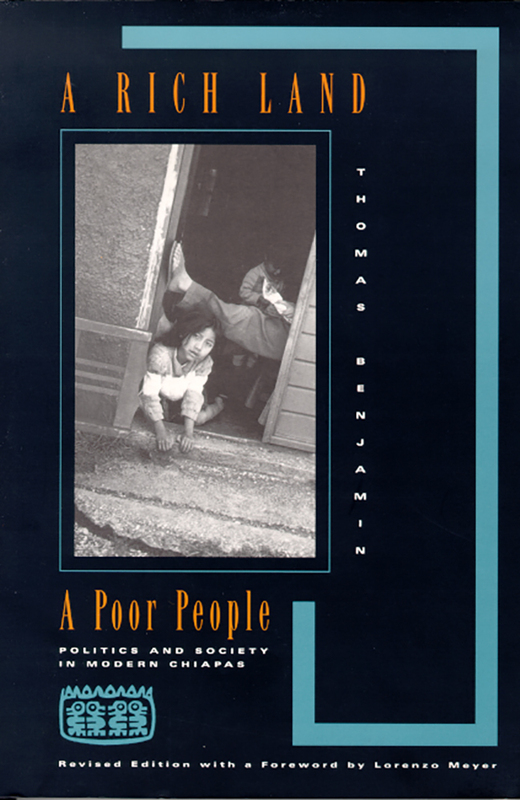 By studying the impoverishment of the laboring class in Chiapas, Benjamin addresses how the Chiapan elite survived the Revolution of 1910 and remain in control of the state's development and destiny. More clearly than anyone else, Benjamin shows in his new final chapter that the contemporary agrarian uprising is the legacy of Chiapan underdevelopment. Thomas Benjamin is a professor of history at Central Michigan University.